Yesterday was a gorgeous day, no? The only thing I was craving was something creamy, fruity and cool. 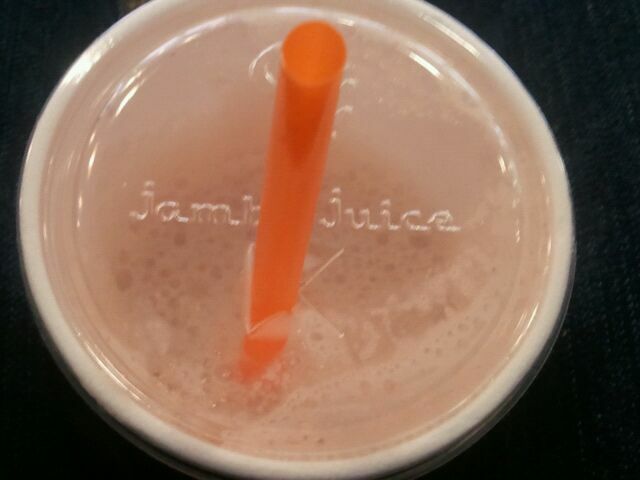 What better way to satisfy that craving than with a Jamba Juice smoothie? I walked into Jamba Juice and decided on the Strawberry Nirvana Smoothie in the Sixteen size, as I happen to love strawberry and banana mixed together. 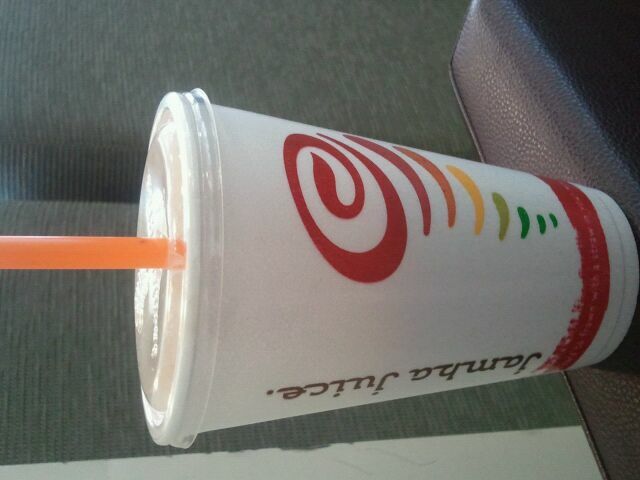 I was a little taken aback at the price- $5.12 for a smoothie. That’s quite a chunk of change for a smoothie! However, I would soon find out it was worth it! As you can see, it was a pale pink in color, with a frothy top. It was smooth and not too thick, which was good. It was also pretty sweet, but not sugary tasting. 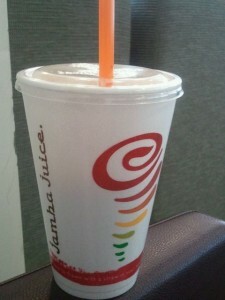 It had mostly a strawberry-yogurt type of flavor, with some banana undertones as well. I love that I could taste the occasional piece of strawberry or strawberry seed, which gave it a very natural and authentic feel. In fact, at the bottom of the smoothie I found a little chunk of banana and a piece of strawberry as well! What’s your favorite recipe for a homemade smoothie?